Nike SOHO commissioned 8 custom sneaker masks made from SF-AF1s for the launch of their mid model release. See more photos from the event via the Blog on FreehandProfit.com. 'SNEAKERHEADS' featured 8 sneaker masks by Freehand Profit, showcasing the wide variety of EQTs by adidas Originals. You can see more photos from the event via the Blog on FreehandProfit.com. For Europe's greatest sneaker show Cadillac Europe displayed 8 sneaker masks by Freehand Profit, including a brand new mask to reflect the luxury brand's style and class. 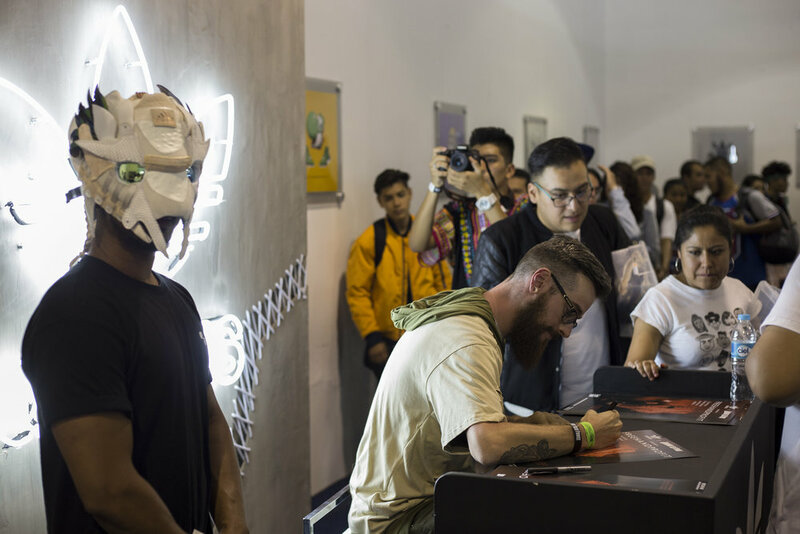 adidas teamed with Sneaker Fever MX to bring Freehand Profit to Mexico City for Sneaker Fever 2017. The 2 day event featured 8 sneakers masks made from various adidas sneakers. 'SNEAKERHEADS' featured 8 sneaker masks by Freehand Profit on display at adidas SOHO. You can see more photos from the event via the Blog on FreehandProfit.com.